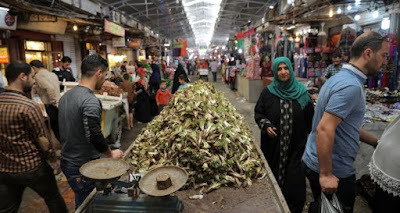 April 29 the Joint Operations Command announced that there was a small advance in the Old City. The Federal Police and Rapid Reaction Division moved from 300 to 200 meters within the Grand Mosque in the district. 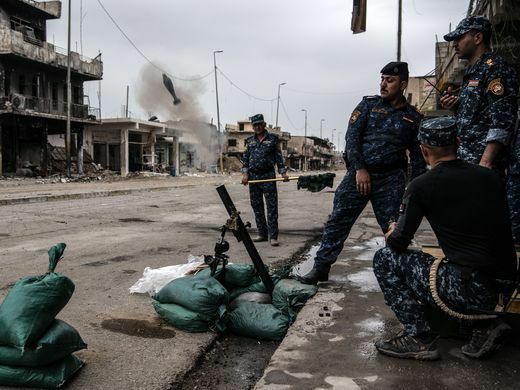 In a rare occurrence, the Iraqi forces announced losses in the day’s fighting. 14 Federal Police were killed, and 20 wounded by a series of suicide bombers. Four more were killed by sniper fire. 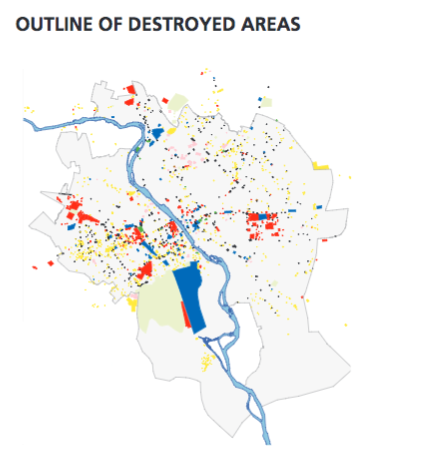 The Golden Division and police were also attempting to take the Zinjali neighborhood, which would further surround the Old City. The police have been assaulting the Old City for nearly two months. The fight has been very difficult sometimes involving room to room combat. 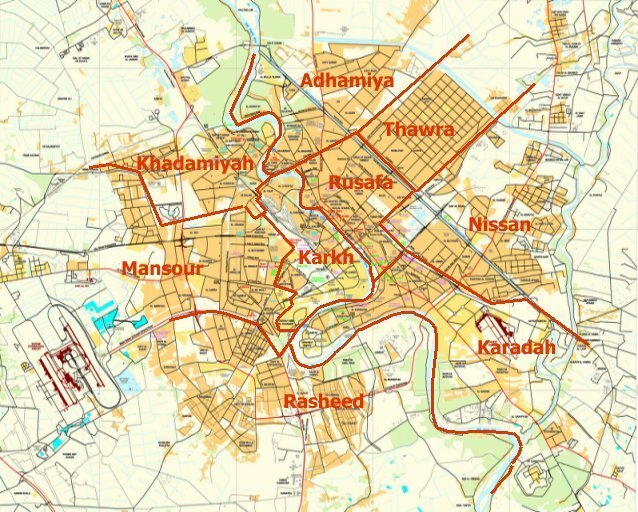 The main job of the police has been to hold down the Islamic State, while the Golden Division took the center of the city. A member of the Ninewa council told Al Mada that strategy remains in place to bypass the district, and seize the rest of west Mosul. There were no advances in west Mosul for a second day. Federal Police commander General Shakir Jawadat said that his forces were 300 meters from the Grand Mosque in the Old City, which was where Islamic State leader Abu Bakr al-Baghdadi declared the caliphate in 2014. The police have been that distance from the mosque for more than a month now however. The Golden Division let it be known that there were only four districts left to be liberated in the city. That’s roughly forty percent of the western half. The police have been stalemated in the Old City for weeks now. 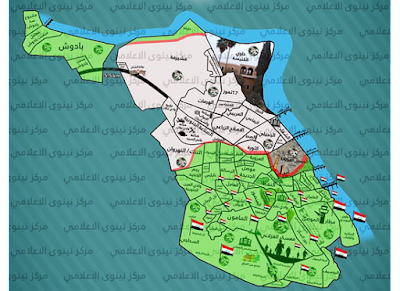 The Golden Division on the other hand seized most of the center of the city. It is likely consolidating its latest move into the Tanak neighborhood, the largest in the west. There were clashes in west Mosul, and the Hashd were advancing towards the Syrian border. The Golden Division was fighting in Zinjali, and the Federal Police were battling in Rifai, Harmat, and the Wadi Akab cemetery, both in the eastern section of the city. 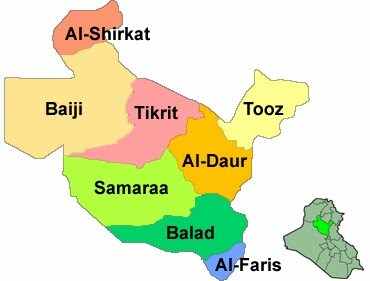 The Hashd on the other hand captured four towns, including the historical Hatra, west of Mosul. 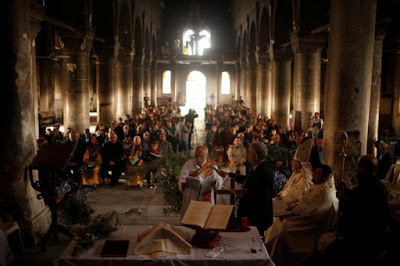 Hatra is listed as a UNESCO world heritage site, and the Islamic State destroyed part of it after it was captured in 2014. In 2015 the group released a video of it smashing walls, shooting statues, and destroying other structures. 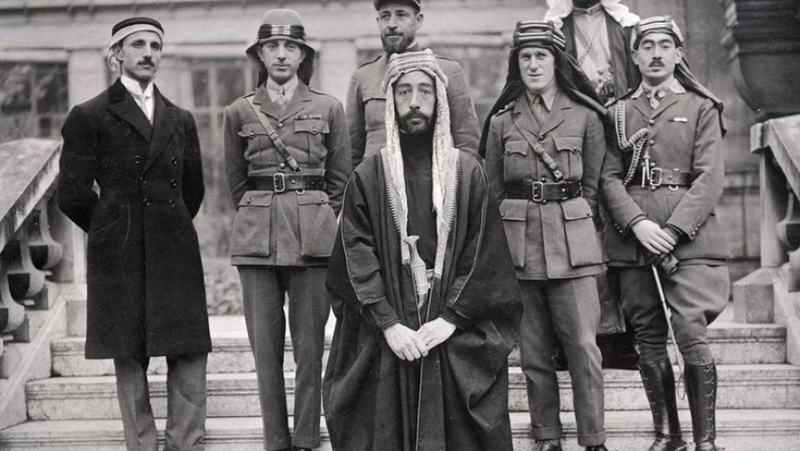 That was for propaganda purposes however, as the main goal of IS was not to wreck the place, but rather to loot it and sell the antiquities to help raise funds. The police and Golden Division are attempting to link up in the Old City district, while the Hashd are pushing towards the Syrian border, because the government will not let it take Tal Afar. The Joint Operations Command announced that only 30% of west Mosul remained under Islamic State control. Based upon daily reports and maps available that sounded roughly correct. 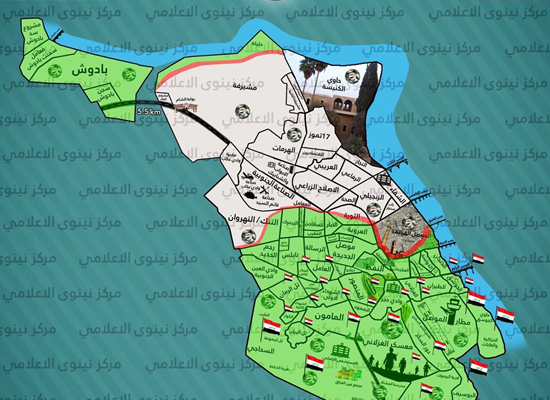 In the last several weeks the Golden Division has seized much of the center of west Mosul greatly expanding the government’s control of the city. Security incidents reported in the press took a dip in the second week of April in Iraq, while casualties remained largely unchanged from the previous week. 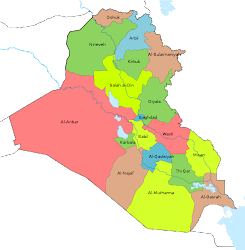 There was very little violence around most of the country, with almost all the incidents taking place in Ninewa due to the Battle for Mosul. There were 124 incidents reported in the press in Iraq from April 8-14, 2017. 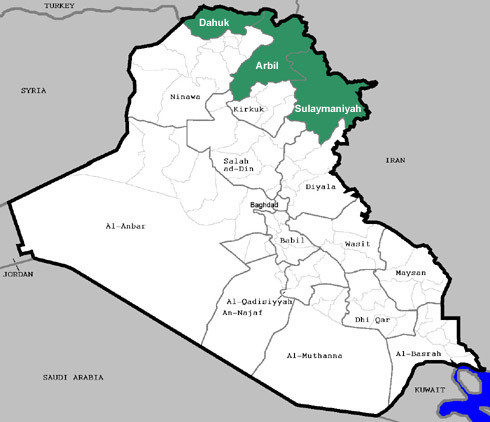 There were 58 in Ninewa, 28 in Baghdad, 14 in Diyala, 9 in Anbar, 8 in Salahaddin, 3 in Basra and Kirkuk each, and 1 in Babil. That was the lowest weekly total since the first February 1-7 when there were 123. My interview with Charlie Winter on how the Islamic State is dealing with its defeat in Mosul was reprinted by Vox Pol. Iraqi propaganda again obscured what was going on in west Mosul. First, the Golden Division freed the Thawra neighborhood in the center of the city on April 18. Then on April 19 a spokesman for the Rapid Reaction Division claimed that 30% of the Old City had been taken, while a police major had it at 40%. The major said this was the result of 38 days of fighting in the district. The police have largely been on pause for the last month however, and no neighborhoods were named as being liberated. 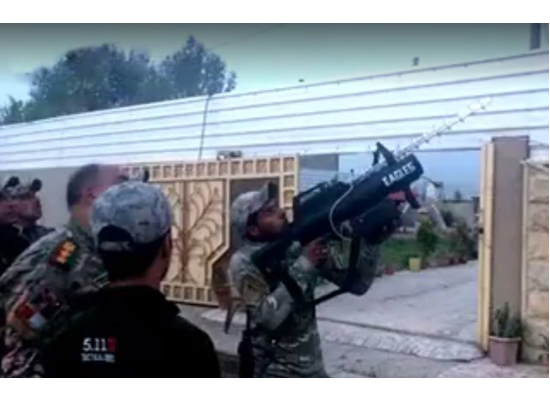 The Federal Police also reported that it was destroying Islamic State sites in the district, fighting in Farouq Street like they have for weeks now, and attempting to connect with the Golden Division in Thawra. All the previous reports had the police advancing block by block with no large sections being seized. 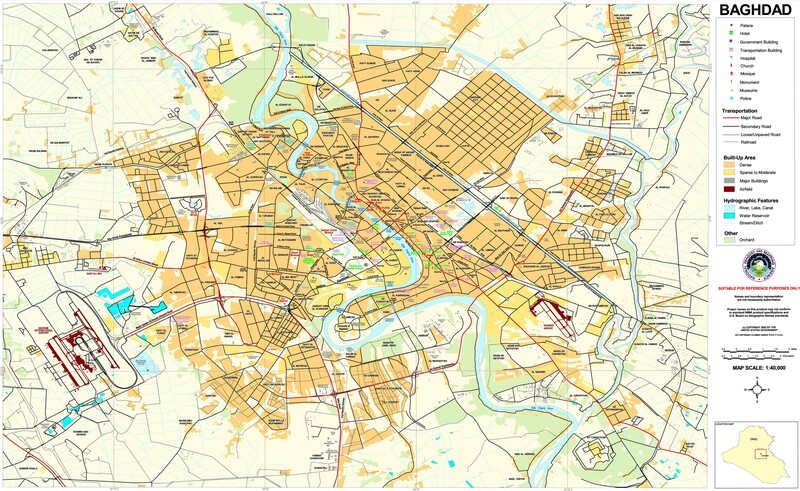 To add to the confusion, the daily map released by the government showed the Golden Division’s latest movement in the center of the city, but no change in the Old City. Not only that it had new sections in the north being taken, yet this was not announced in any press releases. Recently the 9th Division and Hashd took the towns that were just outside of the city, but nothing else has been heard from them since then. 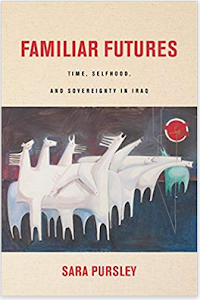 The Iraqi government is notorious for exaggerating and making claims before they happen and it would seem this was another example. The Golden Division maintained its push into central west Mosul. Its forces were still fighting in the Thawra and Tanak neighborhoods. General Abdul Wahab al-Saadi claimed that once those two were taken the Old City district would be mostly surrounded. In actuality the division would just be pushing along its perimeter more. That’s what the Golden Division has been doing for the last month. Taking the district remains the job of the police who are only making halting progress. The Iraqi police were still attempting to seize the Grand Mosque in the Old City district of west Mosul. They were fighting in the Farouq neighborhood of the district. 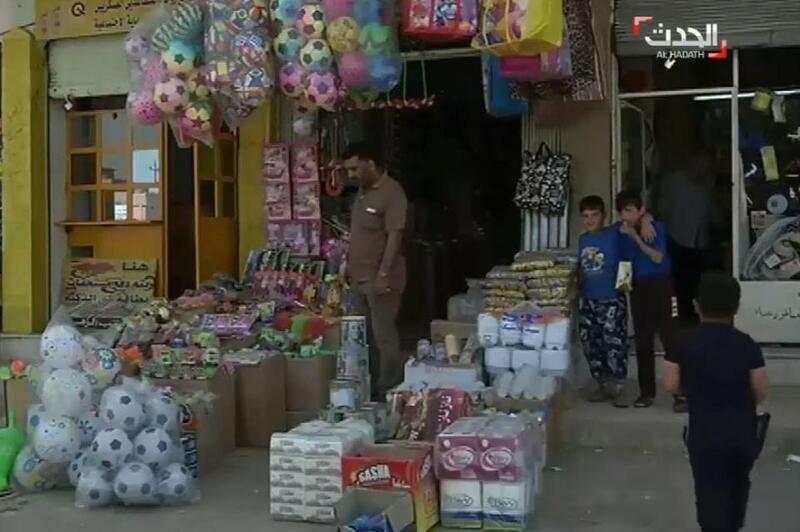 At the same time, the Islamic State counterattacked and forced them out of the Kornish Street area. The police spent the day attempting to drive off the insurgents. The Iraqi police only recently restarted their effort in the Old City after a month long pause. Their progress has still been extremely slow due to the tough defenses of the Islamic State and the dense layout, which has reduced most of the fighting to house to house, room to room. The Golden Division was said to be finally assaulting the Old City, but that claimw as unclear. The unit was fighting in the Tanak neighborhood, which was declared freed on April 13, and in Thawra. There was also a report that the unit was pushing on the Fifth Bridge across the Tigris. 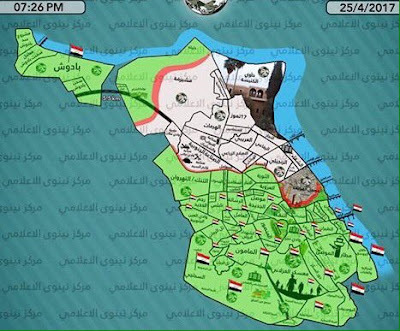 The problem with that is the Golden Division is in the center and west of Mosul, and the Fifth Bridge is all the way on the other side of the city to the east. Also Tanak and Thawra have been fought over since the end of March, so the division has not entered any new areas yet. At the same time Iraqi propaganda often exaggerates progress so these may be new areas the unit was fighting over. The on going Battle for Mosul continued to drive violence across Iraq in April 2017. 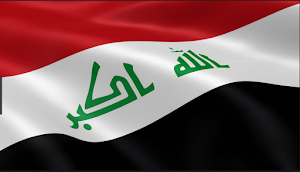 In the rest of the country attacks have been going steadily down for the last few months, especially in places like Baghdad, which has seen the fewest incidents and casualties in years. There were 169 incidents in Iraq from April 1-7 reported in the press. That was the most since 171 from March 8-14. 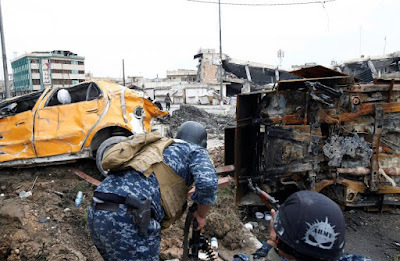 There were 88 incidents in Ninewa, followed by 32 in Baghdad, 17 in Diyala, 9 in Salahaddin, 9 in Anbar, 7 in Kirkuk, 3 in Basra, 3 in Babil, and 1 in Najaf. The big news of the day on the military front was that the 9th Division and Hashd almost reached west Mosul. They took five towns just on the outskirts of the city. These forces have been caught up clearing the Badush district to the west for the last two months, cutting off escape routes for the Islamic State. It is assumed that they will eventually assault the city itself and open a new front in the northwest. The Golden Division remains the most active unit in west Mosul. They were still fighting in Abar and Tank in the center of the front. The police restarted their assault upon the Old City and received reinforcements from the Interior Ministry. The attack on the Old City stalled several weeks ago leading to a change in strategy with the Golden Division pushing up the middle to try to surround the district, while the police held down the Islamic State. The Golden Division have not joined the fight in the Old City yet so it is unclear whether that operation has really renewed or not. There was little activity in west Mosul again as the Iraqi forces (ISF) were preparing a new offensive against the Old City district along the Tigris River. The Yarmouk and Sakak neighborhoods were officially declared freed by the Golden Division. The unit took the first half of Yarmouk on April 3 and then the second half on April 6. Despite the announcement there was heavy fighting in both areas. The Golden Division have moved up into the western and central sections of the city, while the Federal Police and Rapid Reaction Division have held down Islamic State units in the Old City. That area is to be surrounded and then attacked. This operation is behind schedule however due to heavy civilian casualties. The last few days have been slow for the Iraqi forces (ISF) inside west Mosul. The Golden Division recaptured the Rajim al-Hadid neighborhood that the Islamic State seized the day before. 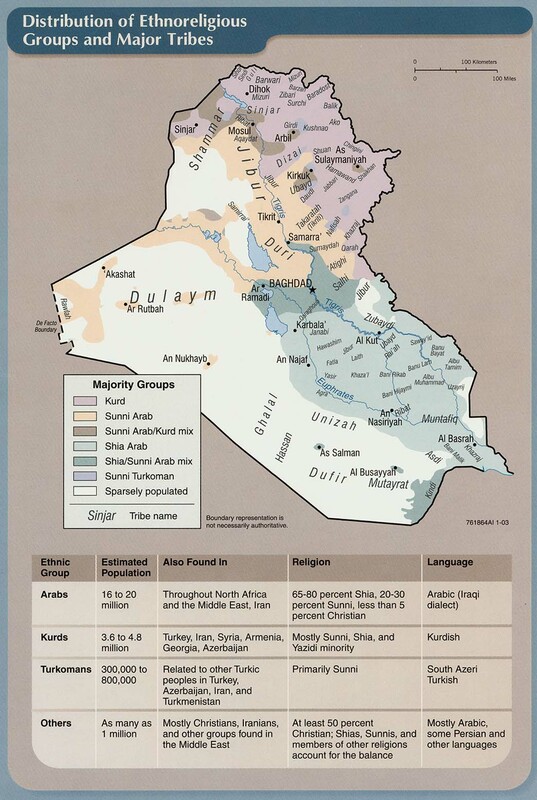 That was the first time the insurgents were able to take any territory in the Mosul battle. There was still fighting in Yarmouk in the west as well. The Golden Division claimed it had freed the area on March 22. Otherwise there were no advances reported. The ISF is now in control of roughly 60% of the western section of the city. For the first time the Islamic State was able to seize some territory from the Iraqi forces (ISF) inside Mosul. 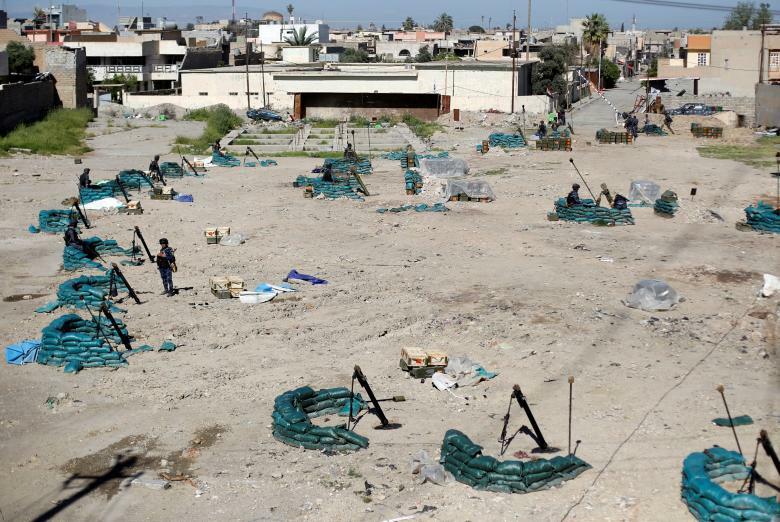 The insurgents took the Rajim al-Hadid neighborhood that was just freed on March 22. The area was being held by a tribal Hashd unit probably made up of locals. The Golden Division was still fighting in Yarmouk as well away and to the west of the Old City. A member of the Ninewa security committee said that there have been no real advances by the police for the last 15 days in the Old City. That stalemate has led to a revision of the battle plan. 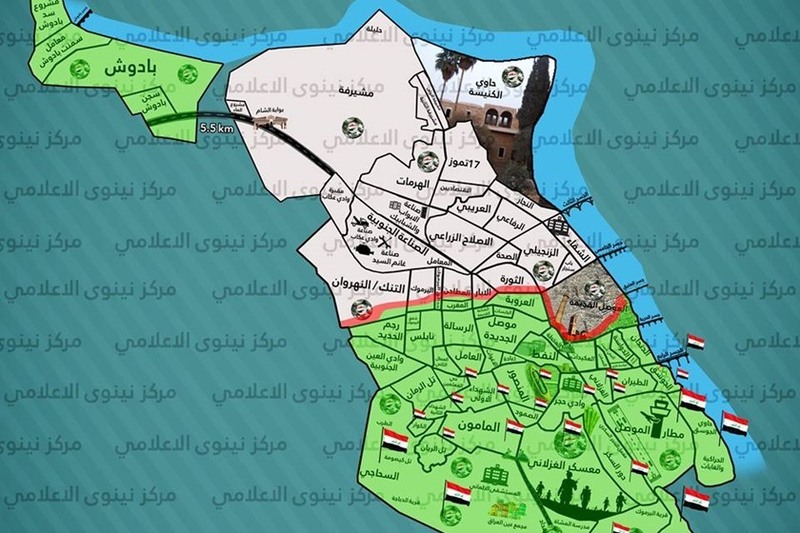 While the police hold down Islamic State fighters in the Old City, the Golden Division is moving up the flank to surround the district, while taking areas in the western section of the city.